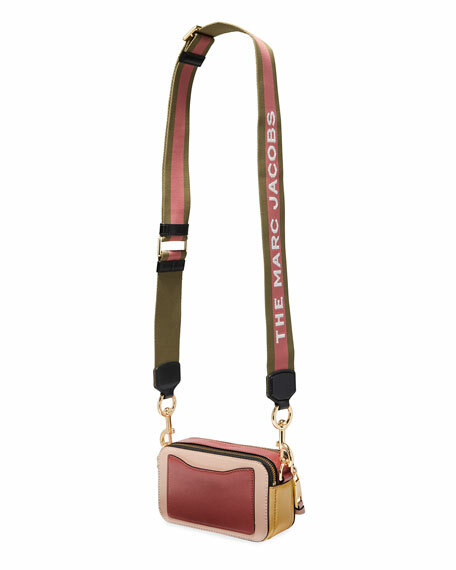 Marc Jacobs colorblock saffiano leather camera bag. Interior, grosgrain lining; slip pocket. 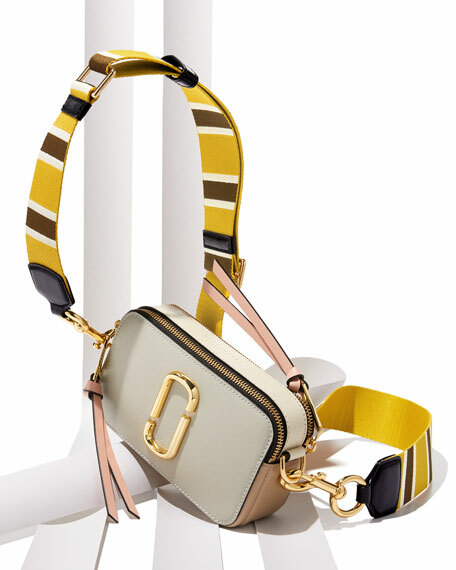 Fendi smooth calf leather crossbody bag with golden hardware. Removable, adjustable shoulder strap with cutout "F" logo trim. Zip-around top closure with tassel pull. Exterior, embossed logo at center front. Interior features pockets. 5.9"H x 8.8"W x 3.1"D. Made in Italy. 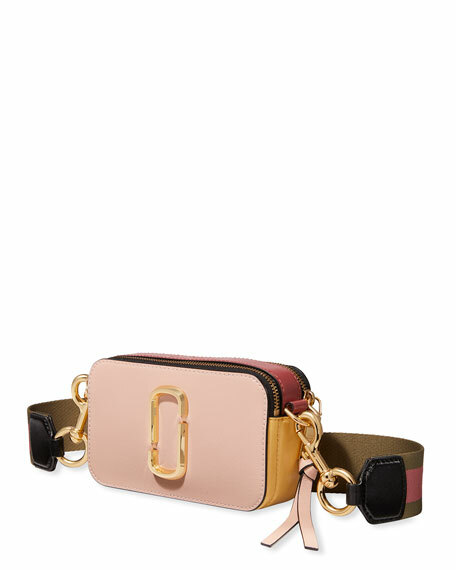 kate spade new york woven wicker crossbody bag with camera features. Metallic patent leather trim and silvertone hardware. Adjustable shoulder strap, 22" drop. Framed rectangular flap top. Exterior, logo at center front. Interior, fabric lining; one slip pocket. 5.7"H x 7.5"W x 3.2"D. "rose" is imported.